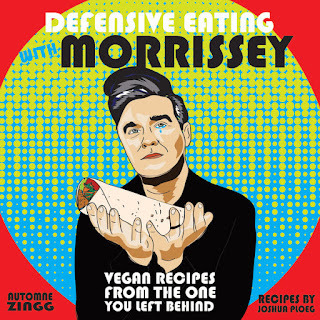 The Touring Vegan Chef: Buy the Morrissey and Nick Cave Art/Parody Cookbooks Now!! 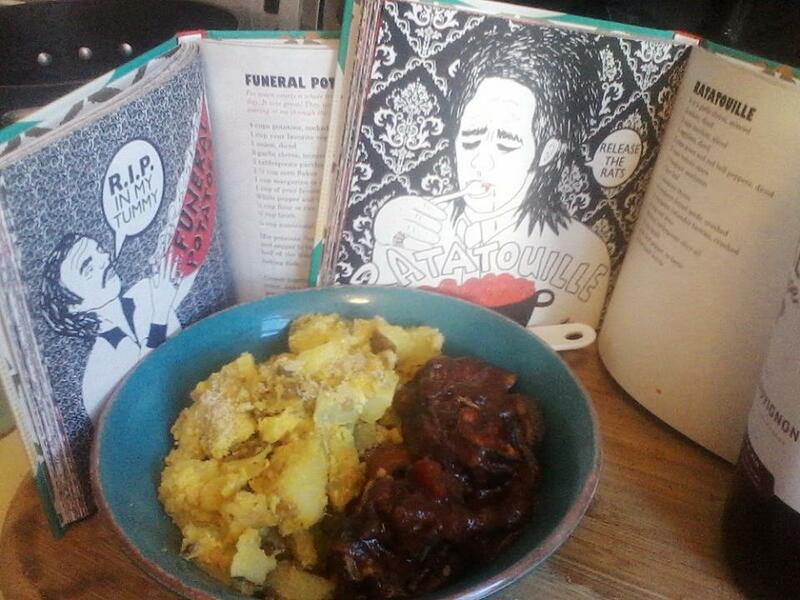 Buy the Morrissey and Nick Cave Art/Parody Cookbooks Now!! "Comfort Eating with Nick Cave" and "Defensive Eating with Morrissey" by me (Joshua Ploeg) and Automne Zingg are out now and can be ordered from your local books store, from Microcosm Publishing, from Amazon... from wherever! So excited, fun vegan recipes and amazing art and entertaining, zany commentary all in one. Fun size, hardcover and both great gifts for that extra special someone (such as yourself!). 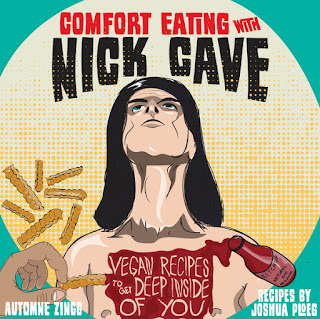 Also, I have 10, count 'em TEN cookbooks out there... this is some kind of anniversary, so don't forget you can also find "In Search of the Lost Taste" or "This Ain't No Picnic: Your Punk Rock Vegan Cookbook" or "So Raw It's Downright Filthy" or "Cacao: Superfoods for Life" out there easily. All of them have something funny and something useful about them, kind of my combo/ouvre. I've eaten nearly a whole tray of this once at a church potluck back in the day. It was great! They were all aghast, I could see their frightened faces peering at me through the gate. 1 C. your favorite vegan "sour cream"
Mix potatoes, "sour cream", onion, flour, parsley, broth, garlic, salt and pepper to taste and half of the cheeze, half of the oil and half of the nutritional yeast. Pour this into an 8x11 baking dish. Crumb together cornflakes with rest of oil and cheeze, nutritional yeast and salt and pepper to taste if needed. Sprinkle on top of the potato dish. Bake at 375 degrees for 30 minutes.